People in America are rationing insulin. This is demonstrable fact. I’ve personally mailed extra insulin to folks in need. I’ve meet young people who lost their insurance at age 26 and have had to skip shots to save vials of insulin. This is a problem, but on the technology side there’s some extremely promising work happening, and it’s we have really hit our stride in the last ten years. I’ve been told every year the a Diabetes Breakthrough is coming “in five years.” It’s been 25 years. In 2001 I went on a trip across the country with my wife, an insulin pump and 8 PDAs (personal digital assistants, the “iPhones” of the time) and tried to manage my diabetes using all the latest wireless technology…this was the latest stuff 17 years ago. I had just moved from injections to an insulin pump. Even now in 2018 Insulin Pumps are expensive, mostly proprietary, and super expensive. In fact, many folks use insulin pumps in the states use out of warranty pumps purchased on Craigslist. 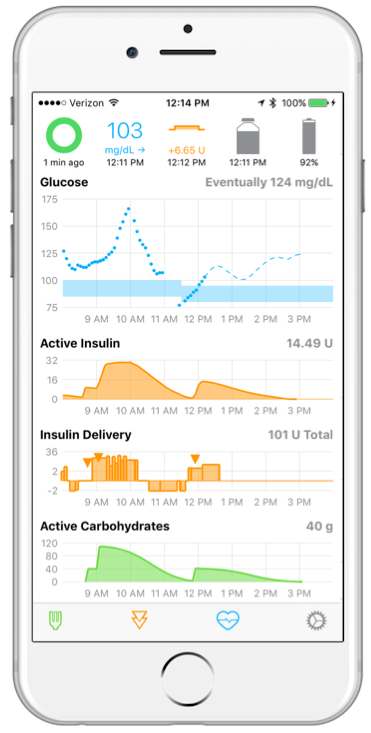 Fast forward to 2018 and I’ve been using an Open Source Artificial Pancreas for two years. The results speak for themselves. While I do have bad sugars sometimes, and I do struggle, if you look at my blood work my HA1c (the long term measurement of “how I’m doing” shows non-diabetic levels. To be clear – I’m fully and completely Type 1 diabetic, I produce zero insulin of my own. I take between 40 and 50 Units of insulin every day, and have for the last 25 years…but I will likely die of old age. Watch my 2010 YouTube video “I am Diabetic” as I walk you through the medical hardware (pumps, needles, tubes, wires) in managing diabetes day to day. Then watch my 2018 talk on Solving Diabetes with an Open Source Artificial Pancreas*. I believe that every diabetic should be offered a pump, a continuous glucose meter, and trained on some kind of artificial pancreas. A cloud based reporting system has also been a joy. My wife and family can see my sugar in real time when I’m away. My wife has even called me overseas to wake me up when I was in a bad sugar situation. * Yes there are some analogies, stretched metaphors, and oversimplifications in this talk. This talk is an introduction to the space to the normally-sugared. If you are a diabetes expert you might watch and say…eh…ya, I mean, it kind of works like that. Please take the talk in in the thoughtful spirit it was intended. Previous articleHow would you ensure that your testing is complete and has good coverage?